Citizens for Decent Literature Press was founded in 2011 as a project of The Literary Underground. Established first as a print zine and APA (Amateur Press Association)—formats also included Little Books, Roll Your Own Stories and the Manuscript Series – all available for FREE. 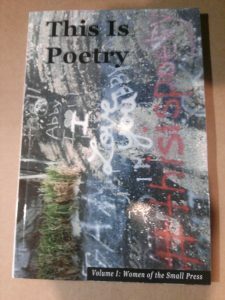 A short run of limited edition chapbooks including Michael Grover’s Some People Go Crazy and Tim Murray’s Dinosaur Ditch were available at or below cost. Now Playing @ Citizens for Decent Literature, the online publication of CFDL, published eight issues of poetry, short stories, essays, and rants beginning on January 1, 2012 before and while returning to publishing in print as zines. The perfect-bound short collection of poems by Luis Rivas, Random Acts of Terror, was released in 2013. 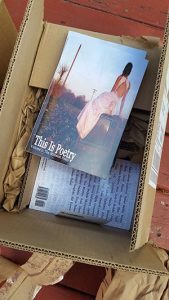 In 2014, Citizens for Decent Literature published the first in a series of anthologies, This Is Poetry Volume I: Women of the Small Press followed by This Is Poetry Volume II: Poets of the Midwest in 2015. This Is Poetry Volume III: Poets of the West is due to be released in August 2017 followed by This Is Poetry Volume IV: Poets of the South.